If you ride a motorcycle in west central Florida and you’re not making time to visit Lakeland in Polk County, you’re missing out. Located east of Tampa along Interstate 4, Lakeland is still considered part of the Tampa Bay area, and as such you should make time for it when planning motorcycle rides through the area. One of the dominant features of Lakeland is its namesake lakes, of which thirty-eight are named. These include Lakes Hollingsworth, Hunter, Morton, Mirror, Gibson and more. Coupled with its lush, winding back roads, including The Tail of the Gecko, named after its better known big brother, the Tail of the Dragon, Lakeland makes for some of the most relaxing, scenic motorcycle rides you’ll find in the area. Lakeland is easy to get to on your motorcycle, with Interstate 4 cutting across its northern end and County Road 570 meandering across its southern end. Be sure to check out Green Swamp Wilderness Preserve and Colt Creek State Park if you want to catch some shade while riding your motorcycle. While motorcycle have their own inherent dangers, things can get a little trickier when traveling along especially dangerous stretches of road. When riding in Lakeland along Interstate 4, which is infamous for its congestion, be wary of your surroundings to do your best to avoid injury. But also be prepared in case something goes wrong: know which motorcycle injury attorney you’re going to call in case something happens. You may not be able to prevent your motorcycle injury from happening, but you can know what to do when and if it does: call Brad Souders, the motorcycle injury lawyer. 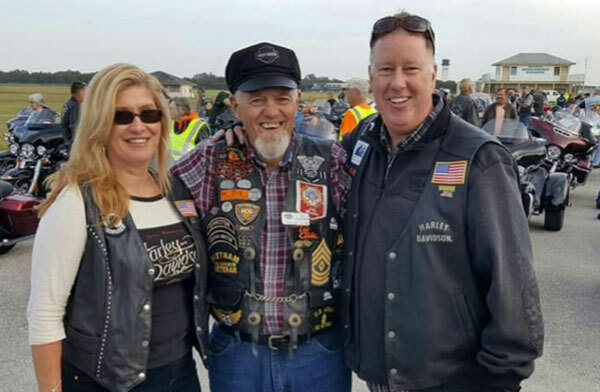 Brad is a Clearwater native, a lifelong biker and is also a member of the Polk County Harley Owner Group. He’s ridden all over Florida, and is intimately aware of the dangers present in Lakeland when riding a motorcycle. Since he began his law career 25 years ago, Brad has made a name for himself as an attorney representing bikers in injury cases. With Brad, you get much more than your run of the mill representation with your motorcycle accident injury case – you get someone who knows the ins and outs of motorcycle riding as well as the courtroom. As an award winning trial attorney, you’ll get a Biker Representing Bikers – and at reduced “Biker Rates”. Don’t let someone who doesn’t understand motorcycle injuries act as your attorney –if you’re involved in a motorcycle accident in Lakeland today, call Brad today to obtain the personal attention, compensation and the justice you truly deserve! You need an experienced Lakeland Motorcycle Accident Lawyer.